My least favorite questions from my minions: 1. Will this be on the test? 2. What do I have to do to get an A in this class? 3. Do I have to read the whole thing? 4. How many pages does this paper HAVE to be? Bile burbles in my stomach as I bite back a snarky quips. I very quickly realize… I’m pissed at my student… just plain angry. Annoying as it is….Some of my anger isn’t justified…..
Students exhibit foot-dragging behavior for a host of reasons (busy schedules, anxiety over grades, difficulty of the subject) but this week it occurred to me that they tend to coalesce around a core truth–motivation. Scholars tend to be what is called “intrinsically motivated” people. Intrinsic motivation means that we love the content for its own sake; we are curious about it; we chirp happily inside when we think about our research. However, most students, (especially those who are new to the major) may or may not be intrinsicallly motivated. In fact, the preceding questions tend to emanate from students who are generally extrinsically motivated (across the spectrum of grades). Externally motivated students are in the class calculating their tradeoffs, and making strategic choices. Their chief concern is to minimize work and maximize outcome. This induces revulsion in most instructors. This is when I calm myself. When it comes to motivation, one of the benefits of active learning processes is that it might create a foundation of knowledge to instill intrinsic motivation. It is our hope that the student will eventually become self-guided by their own curiosity. Active learning does so by engaging them to think through the content rather than memorize. This doesn’t always work. Critical thinking is easier when you are fascinated by a topic and brutally tedious when you aren’t. Nevertheless we try and hope. BUT… (and this is the part where my anger dissipates completely).. 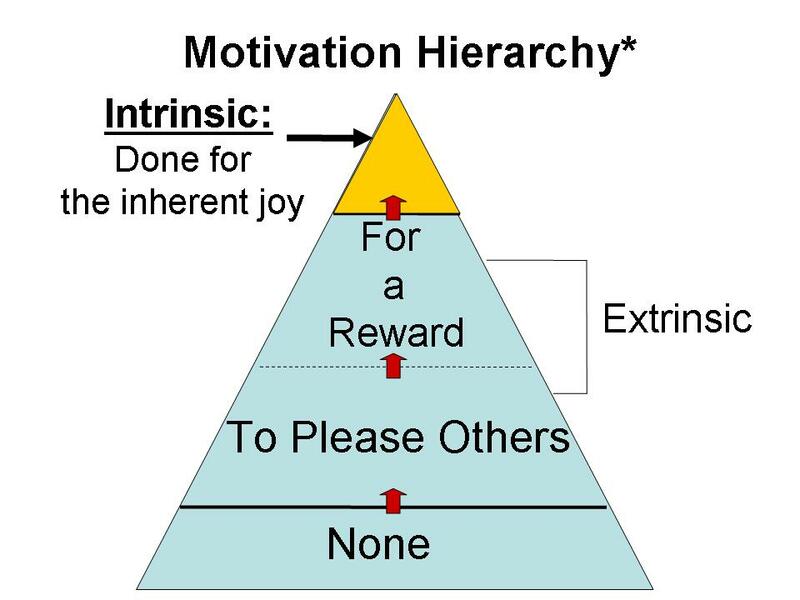 I must also accept that intrinsic motivation is not necessarily better than extrinsic motivation. Motivation is motivation and instructors who use active learning readily attest that grading and prizes play a central role in getting students to engage. These are extrinsic motivators. We want all of our students to be intrinsically motivated because this is how we see the world. The truth is, a student MIGHT eventually become intrinsically motivated by all their classes, but we aren’t suggesting that they are intellectually undeveloped when they aren’t. Students are complex and diversely motivated. Not all students will be motivated by the content of my class–no matter how engaging I attempt to be. In those instances I tell myself that what I consider to be annoying questions are signals of the kind of motivation they are working through. In this way, it is more information (no matter how annoying) about my student. More information helps me guide her or him more effectively. And yes, maybe they are just lazy,…. but approaching their questions from this position helps me work to improve the student rather than just trying to manage my own frustration. But yes, I still get crabby about it. < Previous Simulations for students, or students for simulations? This is a reminder that many instructors at the undergraduate level mistakenly treat teaching as an exercise in self-reproduction. We are not the norm, and we should not expect the vast majority of students to learn how to behave exactly like we do.